So many places and so little time, when visiting Liverpool, it’s easy to get overwhelmed with all the amazing places you can eat and drink! 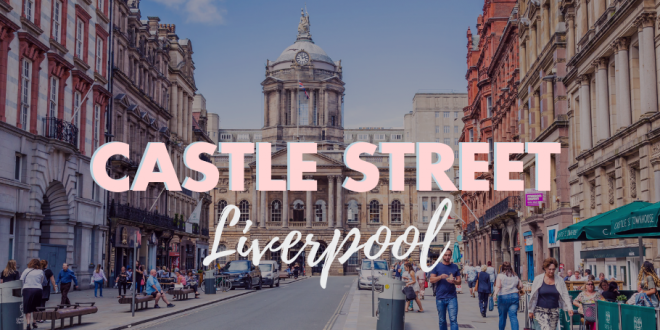 That’s why we’ve put together a go-to guide to bars and restaurants on Castle Street Liverpool. 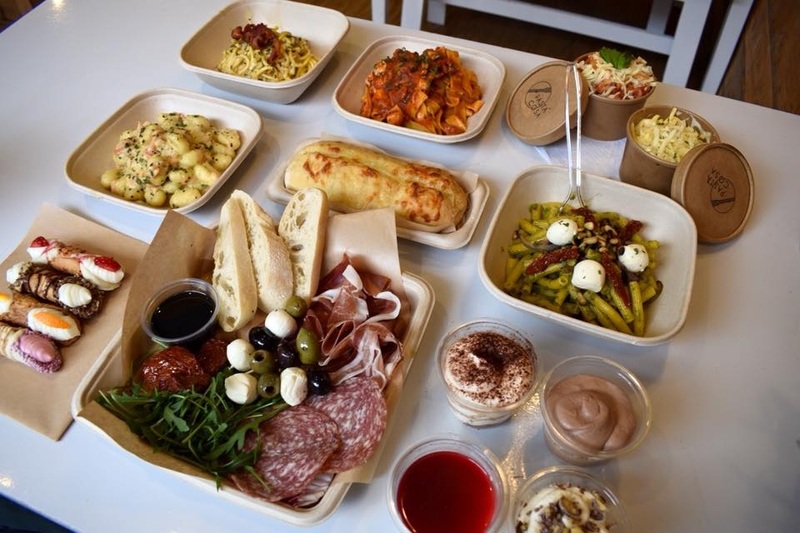 Pop in for the best takeaway lunch in Liverpool or take your time over the perfect pasta creations at Pasta Cosa. Founders have finally delivered what we’ve been waiting for all our lives; authentic, freshly made takeaway Italian pasta. Their concept is simple: choose your pasta, sauce and toppings sit down and wait for the magic to happen. Options include a variety of Spaghetti and Penne, fluffy Gnocchi and the more exotic Orzo or Torchietto. Pasta Cosa’s sensational sauces range from traditional Italian Bolognese and Carbonara to creative options such as a spicy madras concoction. It’s all served in an eco-friendly cardboard carton, ready to eat in or out, your choice. Tip: save room for dessert as the traditional Tiramisu is to die for. 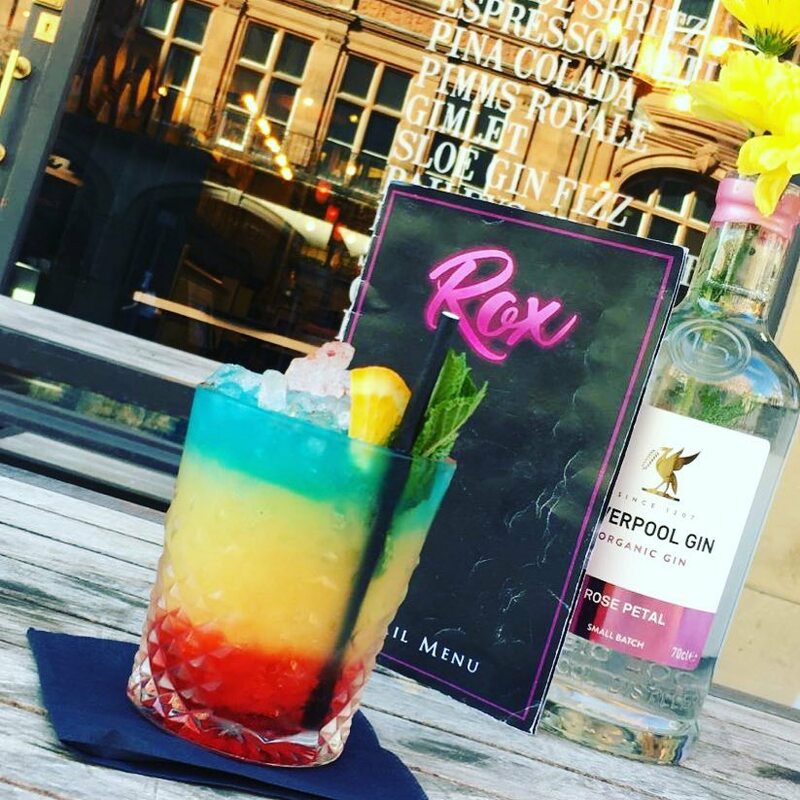 They say the best things come in small packages and this includes the tiniest cocktail bar in Liverpool, Rox. Their exciting and hotly anticipated cocktails of the week are just the tip of the iceberg. Add to that a Gin menu as long as the bar itself and a selection of scrumptious sharing platters, and you’ve got all the ingredients for one of our favourite Castle Street establishments. You don’t even need to wait ‘til after work hours to savour the Rox flavour because they open those doors at 9 am sharp, serving up fabulous breakfasts and a brunch menu too. If you’re looking for us any time of the day, you know where we’ll be. Castle Street is stocked full of places to pick up a sensational slice or two but, choosing where to go is never an easy task. Let’s start with Santa Maluco as they live at what we consider the beginning of Castle Street as we blow your minds with the whacky topping they serve all day, every day, by the slice or 18” pie. Although you can opt to have the average Margherita, why would you when you can also choose the likes of a Lo Pan Loco smothered with Sui Mai and a salt and pepper dressing? Or perhaps mix two of your favourites together, combining pizza and the Big Mac with Santa Maluco’s Return of the Mac topped with minced beef and a special Big Mac sauce. The beauty of Santa Maluco is they encourage you to experiment with your choices as much as they experiment with flavour, serving all these delicious options up Rodizio style. Tip: Go with friends to enjoy an all you can eat pizza sensation for the fraction of the cost. Another little bar doing big things on Castle Street Liverpool is Sanctuary Tap. The fun regular event nights welcome a loyal crowd of folk, guaranteeing an enjoyable atmosphere all the way through the week. Pop in and showcase your talent on open mic night Wednesdays, play a pop quiz with a pint and pie on Mondays and enjoy the taste of quality fish and chips every Friday. From the extensive choice of real and cask ales, from which you can order a sample flight of three, to a long list of gins, shakes and creative cocktails, the bar is without a doubt, the very best bit about Sanctuary Tap. 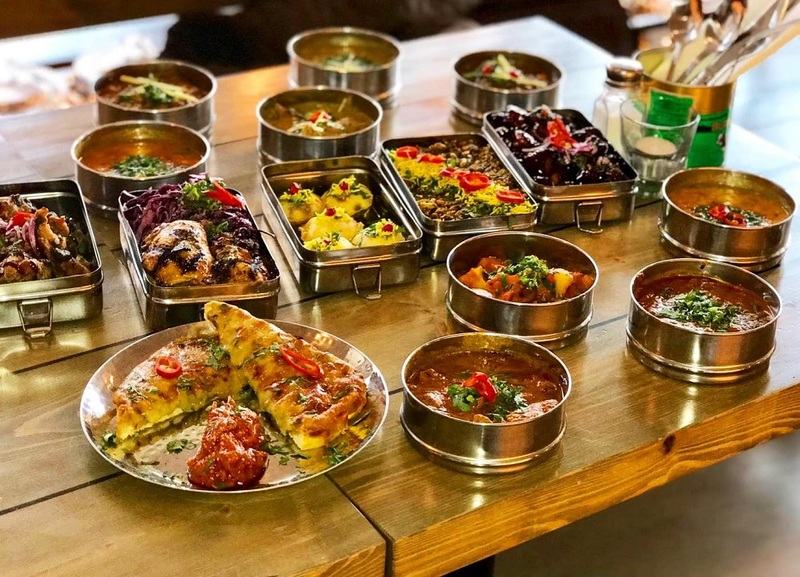 Starting out life in Liverpool’s favourite foodie haven Bold Street, Mowgli has now migrated across town and onto Water Street technically, but we’re going to add it to our Castle street guide anyway, so there!! Newly honoured by the Queen, Nisha Katona, founder of Mowgli, has even set up shop in nearby city centre Manchester. But that’s a way away from Castle Street so we’ll leave it at that. Specialising in authentic Indian street food, Mowgli packs a punch when it comes to a dish’s flavour and style. The presentation of each delectable delicacy matches the simple yet elegant décor of stripped wooden furnishings and charming natural touches, all paired with industrial feature lighting. This is street food with style that comes served in traditional tiffins, begging diners to dunk into each other’s dishes with soft pillowy pieces of naan bread. Tip: The Himalayan Cheese on toast will bring new meaning to your life. A little slice of Liverpool history resides within the walls of McGuffie & Co. Once the leading pharmacy and apothecary in the city, the space harkens back to the mid-19th century. The namesake of the building was, John McGuffie, loved by all and a noted character in the area. 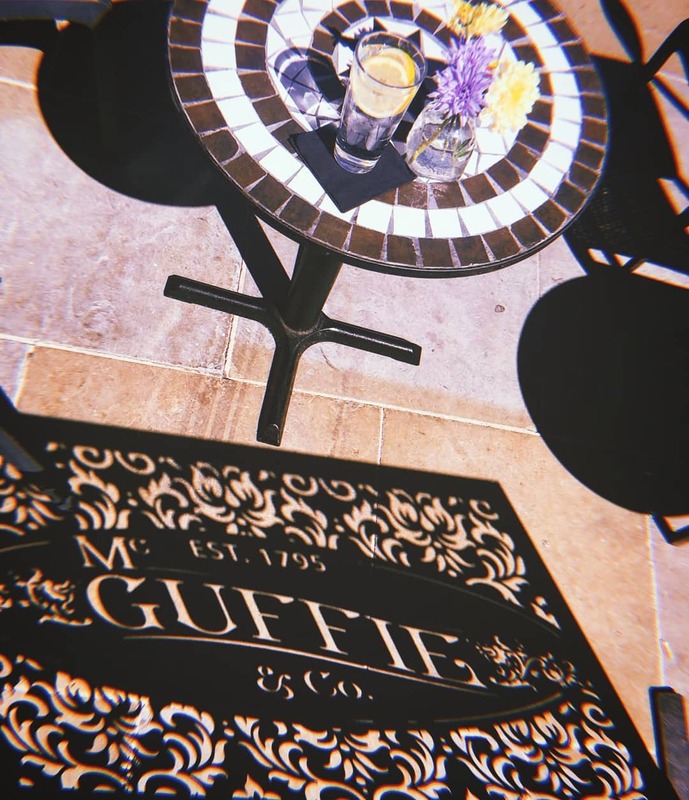 After his death, the name McGuffie’s remained with the business until today where the small yet charmingly historic bar serves drinks inspired by the medicines and potions that were once made and sold on site. The old school charm and cosiness of McGuffie’s are what makes the bar such a popular place to drink on Castle Street. Known all over the world for his wonderful way with English words, Italian chef Gino makes real Italian food accessible and enjoyable for all who enter his restaurant on Castle Street. The venue has a fabulous outdoor terrace, a dedicated Prosecco bar and a huge menu of affordable Italian food, inspired by the many regions of Gino’s homeland. An open kitchen allows diners to see what’s going on inside, as chefs whip up all of Gino’s tried and tested dishes. All the while the entire place is buzzing with the fun and vibrancy of Gino’s loveable character. Perfect to pop in for pizza and Prosecco at lunch or a long lovely meal with the family, Gino’s on Castle Street never disappoints. Tip: book in advance as in the summer months Gino’s terrace gets the sun all day long. 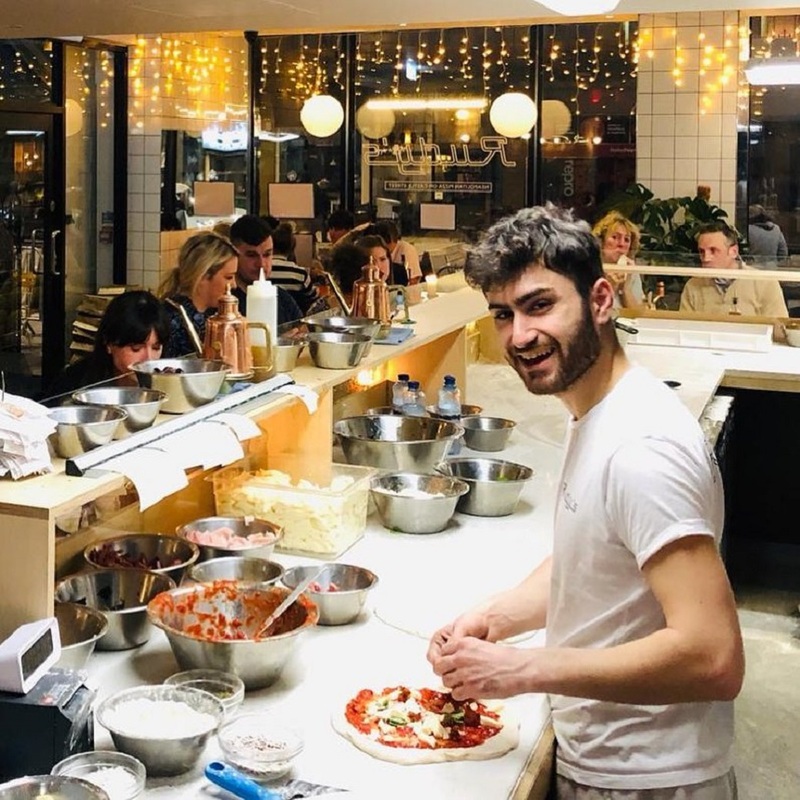 Making pizzas that hail from the place they were invented, Naples, Rudy’s has proven popular among Castle Street regulars. The Neapolitan style of pizza artistry makes for a certain simplicity when it comes to choosing your food. But where the ingredients are simple, the flavour is simply out of this world, not to mention extremely affordable. Plus, views of the hidden Queens avenue make you feel you could be somewhere in the back streets of old Italia. The fun thing about Castle Street is that every now and then a place can pop up without you even noticing. Such is the story with Heritage, which opened its doors early 2018, setting up shop in one of the intimate spaces lined up along one side of Castle Street. The menu reflects the name of the restaurant, made up of dishes that chefs and owners were served by their mothers and grandmothers growing up. Expect traditional meals with modern twists, featuring seasonal ingredients from all over the Med and the UK too. 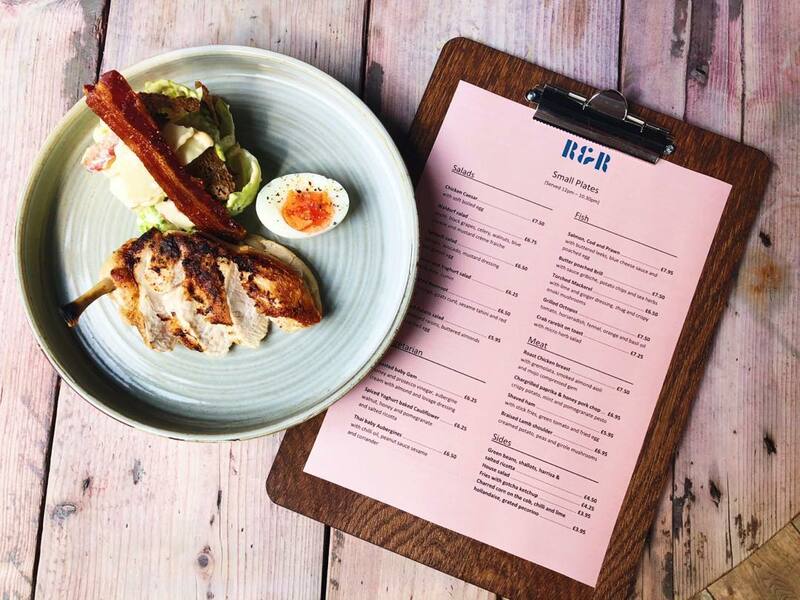 Small plates, nibbles, larger plates and even breakfast are served at Heritage daily alongside a drinks list featuring locally brewed beers, elegant wines and classic cocktails. Tip: keep an eye out for collaborations and events hosted together with local brewers. The Italians get it right when it comes to a lot of things, food, fashion, art, they known how to it all and do it well. Veeno is another one of those fabulous things. Born from the custom of drinking delicious wines and sharing a few nibbles with friends, and family after work, daily; The Aperitivo as it’s known has made its way to Liverpool. Now we too can do as those wise Italians do, at Veeno on Castle Street after a long day in the office. Sit down with a glass full of Sicilian wine chosen from the walls of wine racks, all made on the family vineyard for centuries, whilst nibbling on flavoursome delicacies named sputini. Bellissimo! Tip: for a quick working lunch, pop in for a personal pizza or panini with a pint or glass of wine for less than £10 per person. If gin is your thing, and for most it certainly is, The Underground Gin Society provides gin lovers everywhere an adequate place of worship. The charming venue has a world of gins just waiting to be tried and to go with them, a long list of exciting, unexpected ingredients and a few folks behind the bar who aren’t afraid to fling them together. Flaming drinks, live DJ’s and amazing hand painted wall murals make The Underground Gin Society a fantastic addition to Castle Street’s well-established social venues. There seems to be a recurring theme on Castle Street in Liverpool as the concentration of Italian restaurants is pretty strong down this neck of the woods. Not that we’re complaining. Olive joins the rest with their offerings of fresh handmade pasta, a variety of stone baked pizzas and brick fired oven grills. This Italian restaurant isn’t as fancy as San Carlo or as bustling as Gino’s, instead Olive offers diners a warm and cosy atmosphere that’s as rustic and welcoming as an Italian Nona’s kitchen table. 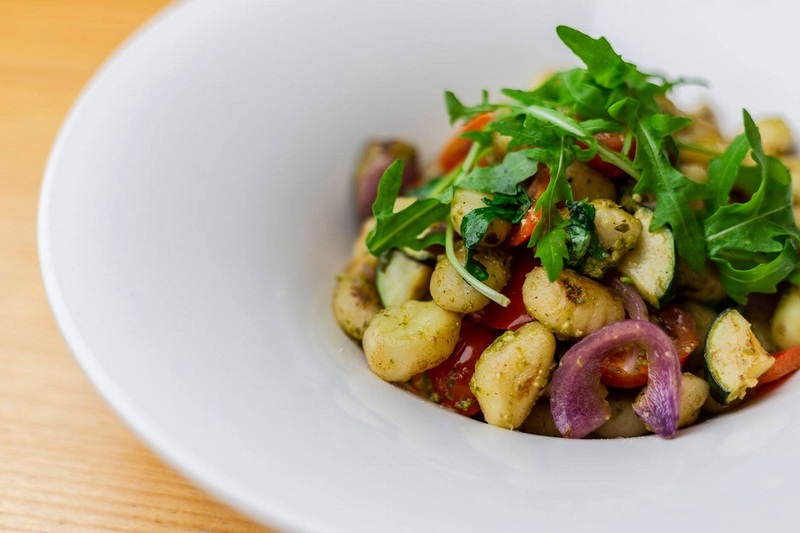 Tip: the gnocchi at Olive is the most amazing thing to have been created with potato, ever! 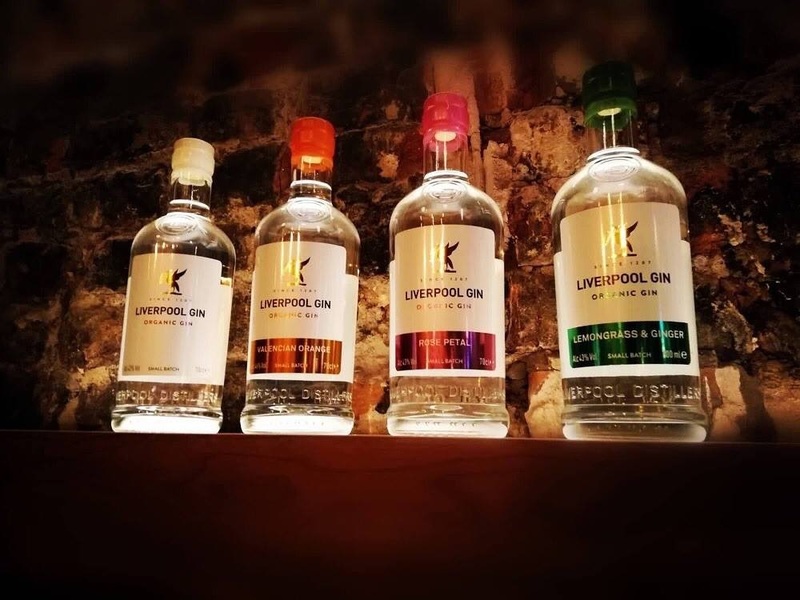 Some may assume that Liverpool’s greatest export was The Beatles, little do they know that Liverpool Gin is fast becoming as famous as the Fab Four in certain gin loving circles. The Liverpool Gin Distillery is much more than a place to pop in for a G&T, which you can do if that’s all you fancy. The other floors of the vast building include tours and experiences, all based on the making and drinking of gin. You can pop in for a masterclass, make your own bottle or just learn a little more about your favourite Liverpool made tipple. There’s something fun going on in Neighbourhood every day of the week. Simply pick your mood and match it to the day’s offers and you’re good to go. Monday’s it’s 50% off #SushiMondays, Tuesday’s it’s BAE day with two for one offers especially for date nights. 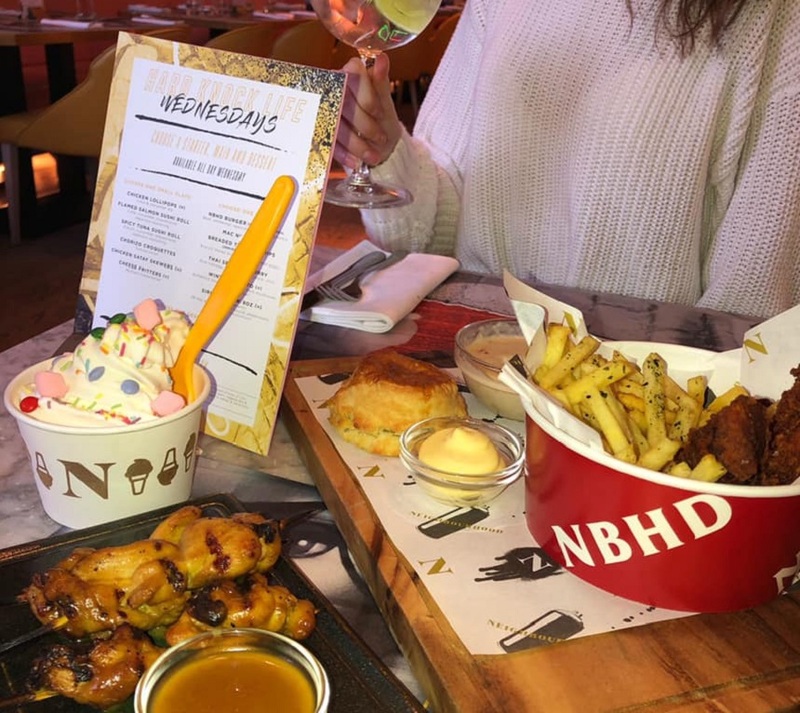 Get ready for hump day at Neighbourhood with Hard knock Wednesdays where you’ll get three delicious dishes for just £18 or, how’s about #NotGoinHome Thursday where it’s a choice of small plates and bottomless drinks? Still not satisfied, check out Friday night dinner parties for £25 per person, where you and your mates can get a three-course meal to start your Friday night in Liverpool off in style. The rest of the weekend its bottomless brunches and non-stop parties only at Neighbourhood on Castle Street. 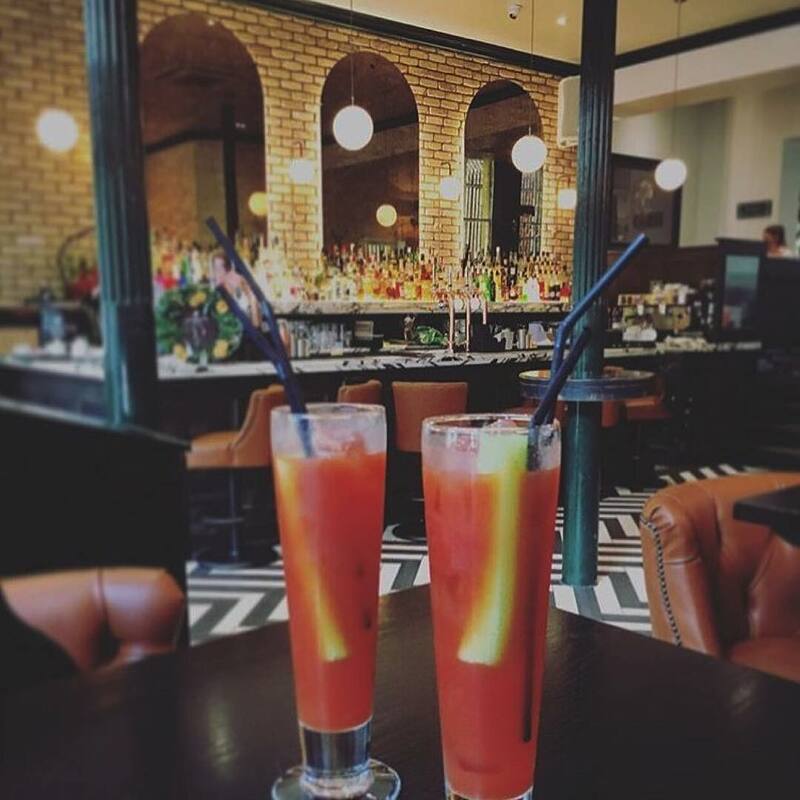 Tip: don’t wait for the weekend, at Neighbourhood every day is a party and their meal deals are the best way to enjoy your weeknight out in Liverpool. Feel like treating yourself? Just realised its Tuesday? 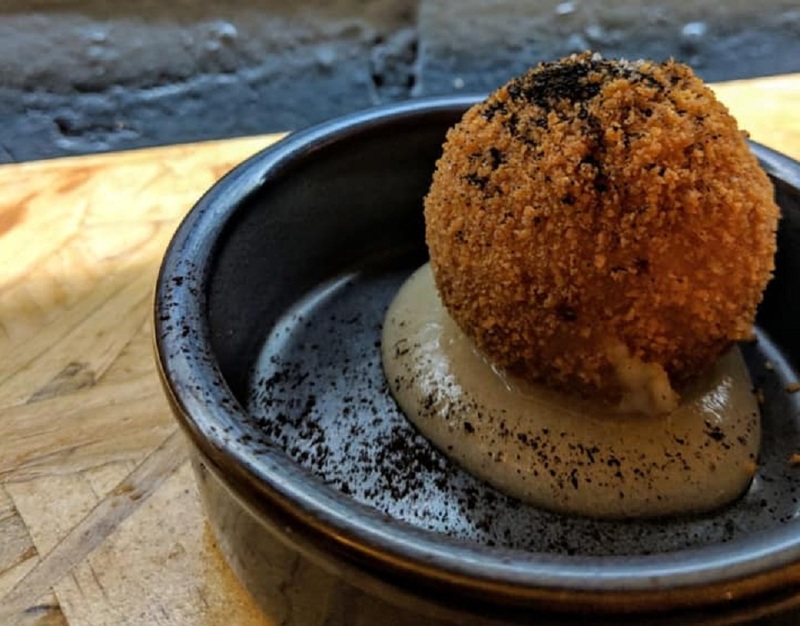 If so, there’s only one place to go on Castle Street and that’s Rocket and Ruby, where their special offer Tuesdays provides small three plates and a bottle of wine each for just £25 per person. 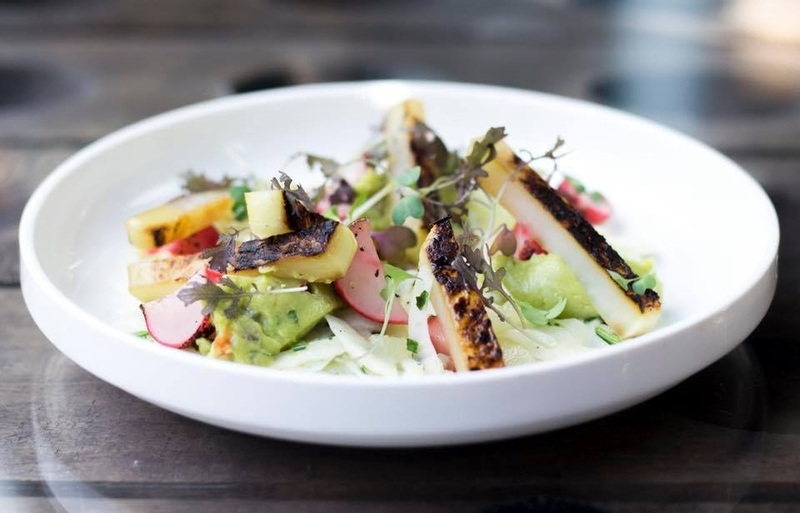 Brought to us from the same genius at Hanover Street Social, Bacaro and Salt House Tapas, Rocket and Ruby have an interesting menu filled with perfectly formed little plates, nibbles and brunch dishes. Pair this with refreshing cocktails and outdoor seating simply made for people watching, and you’ve found your new favourite place to be on Castle Street on Tuesdays. Or any other day for that matter. A hop skip and a small plate across the road from Rocket and Ruby’s is where you’ll find Bacaro. A fabulous place where an ancient Venetian type of delicious dishes is served. This style of dining was favoured in old Venice when workers would dive into small venues labelled bàcari to enjoy plates of tiny snacks called Cicchetti, all washed down with miniature glasses of local wines. In Bacaro that same share-and-nibble ethos remains and their huge menu encapsulates everything from charcuterie meat platters to the perfect little puddings and tiny pizzettes. 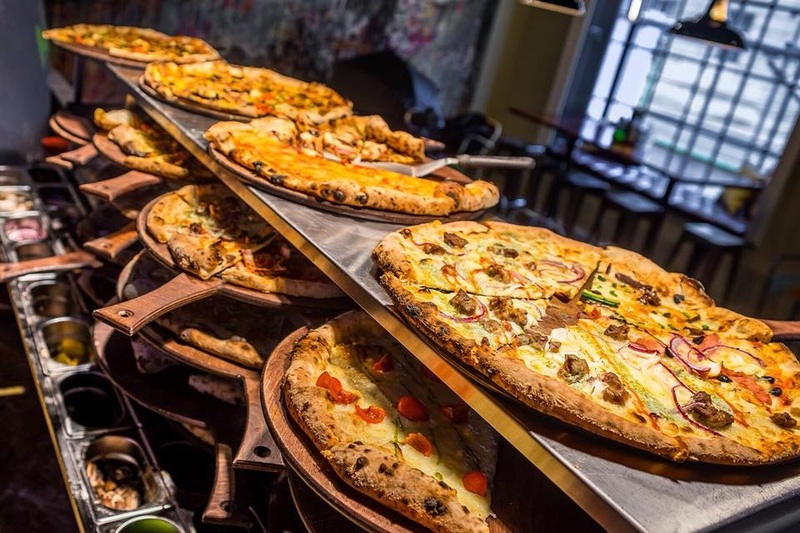 Its bite-size perfection served daily from Bacaro on Castle Street. Tip: if you haven’t already, wrap your lips around one of Bacaros Campari based beverages. It’s a taste sensation you’ll want to repeat in a hurry. An Italian restaurant that has but one goal, to delight each and every customer that waltzes through the door; San Carlo delivers in spades. Among its customer base, a high calibre of rich and famous faces flock here, knowing that the food is fantastic and the service even better. Choose from a long list of fish dishes made using fresh fish from both UK shores and those further afield. Pick any of the classic Italian offerings such as the amazing arancini or perfect pasta. There’s even a speciality grill section offering chateaubriand, steak and lobster or a larger than life tomahawk steak. San Carlo ranks among the fanciest places to eat on Liverpool’s Castle Street and its little wonder why. All you can eat meat. Sold. At Viva Brazil on Castle Street in Liverpool simply pay one price and eat all the meat you like until you are full. 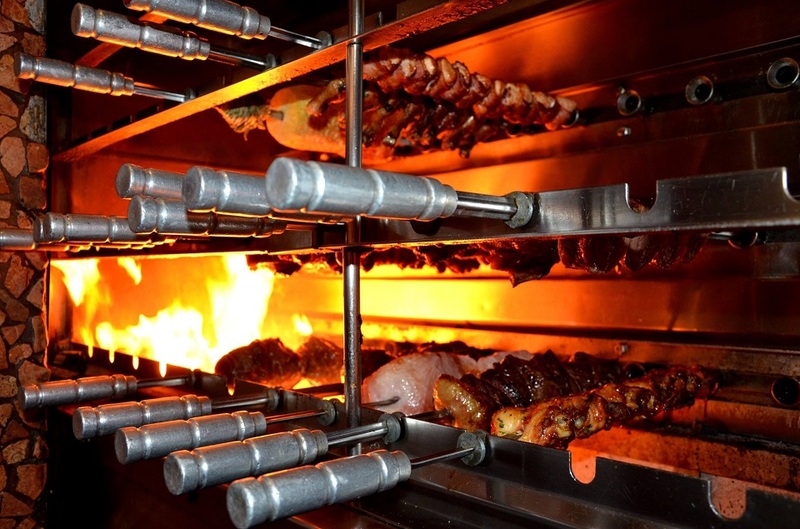 That’s a never-ending service of Brazilian barbecued meats from steak and lamb to exotic choices like parmesan pork and chicken hearts. All of these are served, skewered on swords and carved at your table, along with whatever mountain of sides you’ve swiped from the endless salad bar. The kind of place that should only exist in the dreams of serious carnivores becomes a reality on Castle Street in Liverpool. Tip: DO NOT fill up on dough balls. Fair warning. 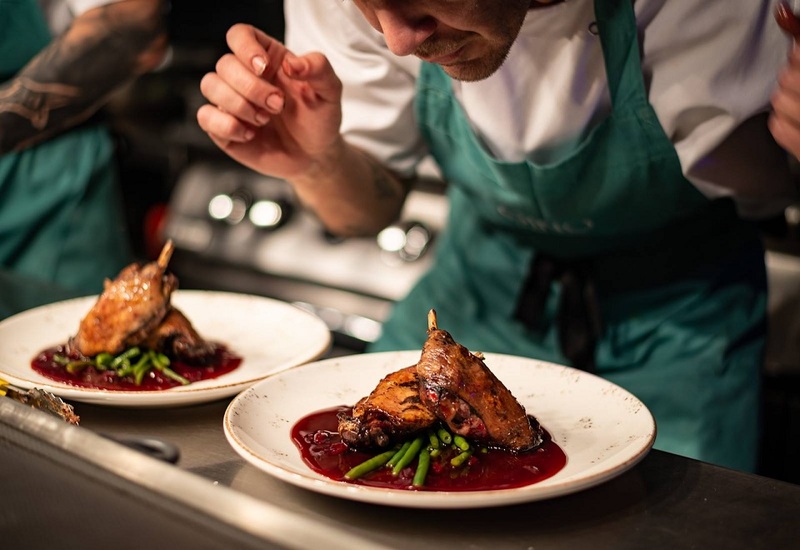 We love Wednesdays at Castle Street Townhouse, anywhere that offers diners a bottle of house wine and two courses for just £20 is a winner in our books. 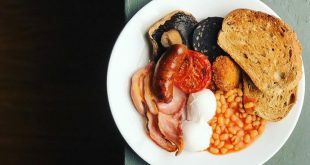 The eclectic menu is inspired by popular dishes from all around the world, serving up everything from breakfast granola to Sunday roasts and enough cocktails to make an army merry. Plus, on weekends there’s the bonus of live entertainment to add a little music to your meal. That’s your lot folks, up and down and along both sides of the lovely jam-packed Castle Street Liverpool. No matter what day of the week, or what time of day, you can guarantee a there’s a perfect place on Castle Street to grab a tasty treat or quick tipple with friends, family or colleagues. Previous Scouse or Wool? Liverpool’s Big Debate…Settled!